Ryuki Survive 1st appearances is on "Kamen Rider Ryuki" series. 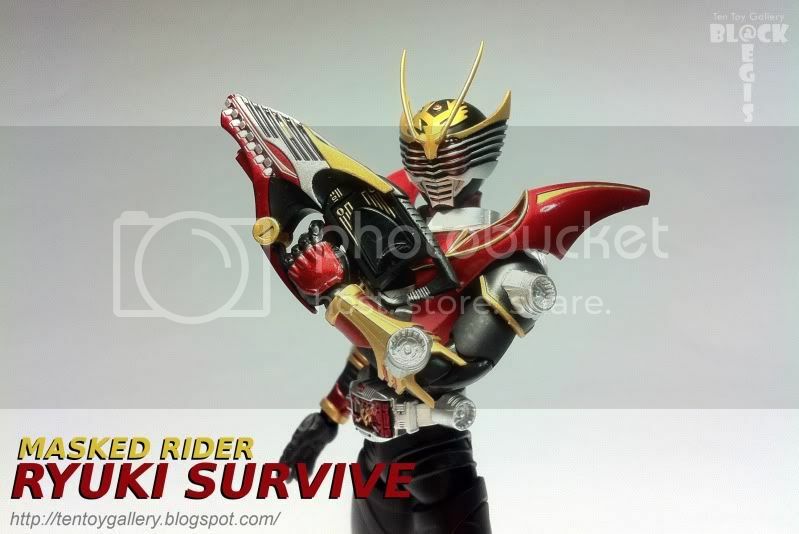 Ryuki Survive is the ultimate form of Kamen Rider Ryuki. He receives the survive card together with Kamen Rider Knight from Kamen Rider Phoenix who is the most powerful out of all the 13 riders. As for Ryuki survive the visor is acted as gun and gunblade. 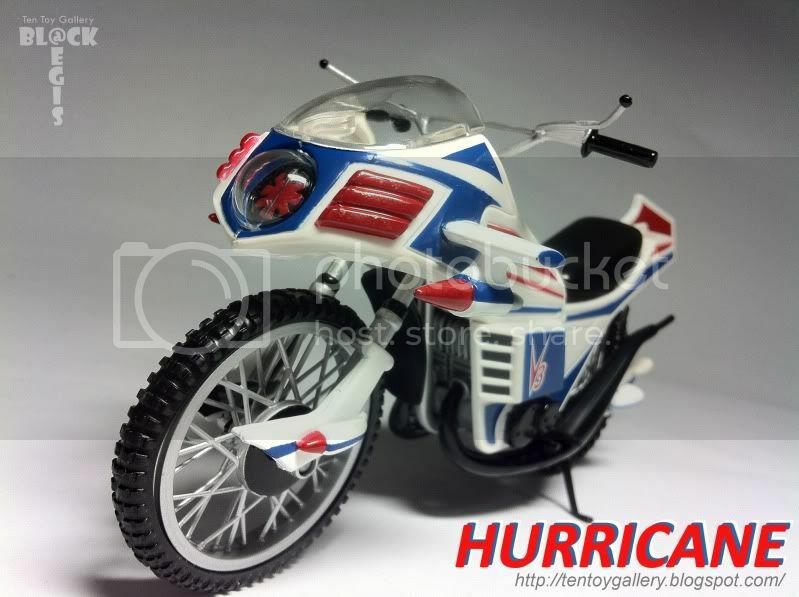 Hurricane is used by Kamen Rider Ichigo in the series. This DX Hurricane released by Banpresto and came as a set with the Ichigo vinyls figure. Cyclone 1st appearances is on Kamen Rider #1 - Ichigo series. 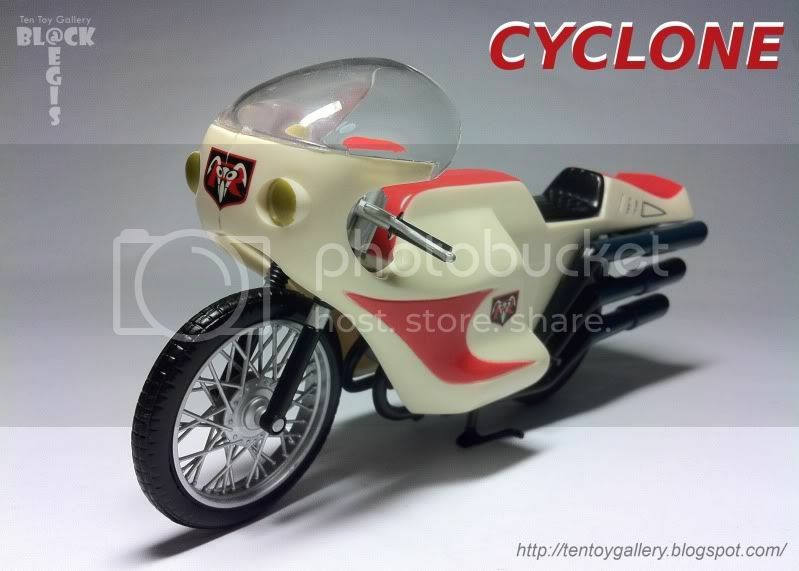 Cyclone is used by Kamen Rider Ichigo in the series. This DX Cyclone released by Banpresto and came as a set with the Ichigo vinyls figure. Shinken Red Kaoru appearances is on the Samurai Sentai Shinkengers series. Shinken Red Kaoru from Samurai Sentai Shinkengers has the same head mold as normal Shinken Red and the body mold from Shinken Yellow or Pink. 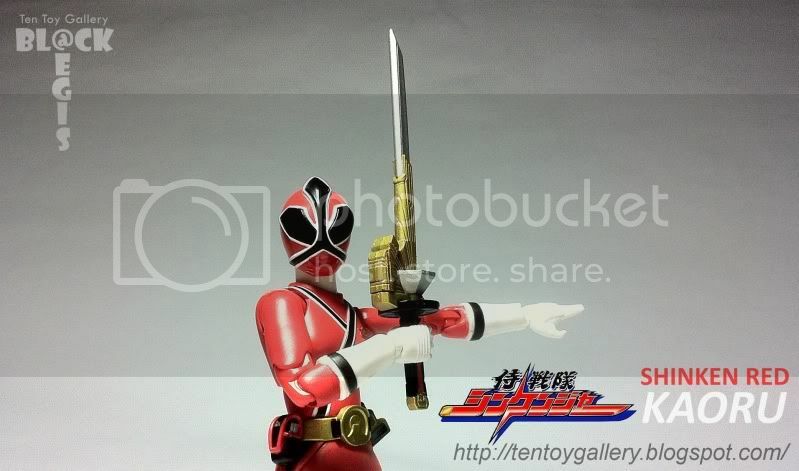 This figure totally comes with similar accessories as Shinken Red.